Newsletter Zell am See-Kaprun Salzburger Land. 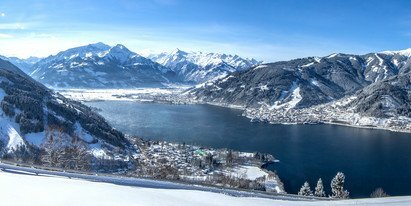 Our newsletter keeps you up to date with events, news and the best stories from the Zell am See-Kaprun holiday region and the best ways to spend your holiday here. Please choose at least one interest to receive our newsletter. Find out about cool activities in the holiday region and the best offers for families. Read more about skiing, hiking, biking, golfing and pure holiday pleasure and find out about the best offers for activity holidays. *By ticking the box, I agree to the use of above-mentioned personal data by Zell am See-Kaprun Tourismus GmbH, Brucker Bundesstraße 1a, 5700 Zell am See, welcome@zellamsee-kaprun.com for the purpose of submitting newsletters by email to which I consent until further notice or until my consent is revoked.